When you log in to Apto Lightning, the first thing you see is most likely the Home tab. Home in Apto Lightning Experience focuses on your priorities, as a broker, you’re busy. You’ve got prospects to nurture, contacts to engage, and deals to close. Depending on your sales process, you might spend your day making calls, showings listings, generating comps, negotiating deals, and chasing down signatures. 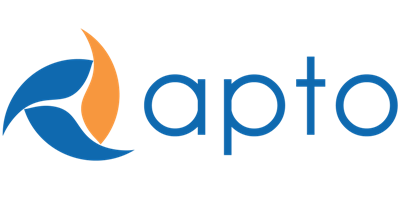 You need an intelligent way to focus your efforts on the most impactful work every day, and you need that to be embedded in the primary technology you use: Apto’s Home Page provides this. The Top Navigation is at the top of each Apto page and contains tabs/links for navigating to major objects. 2. Search to find any type of record. 3. Access user-specific customizations from the drop-down on your picture. 5. The “App Launcher” icon lists apps and additional tabs available to you. The main page will contain the data related to the record you are on. When on the homepage, it will provide you with the key information you need to make your day a success. 1. “Today’s Tasks” will show those that have been scheduled for today in Apto, or in your email provider (if integrated with Apto). 2. “Upcoming Events” will show your calendar of events in Apto. 3. The bottom section will show dashboards showing up-to-the-minute results from several reports.